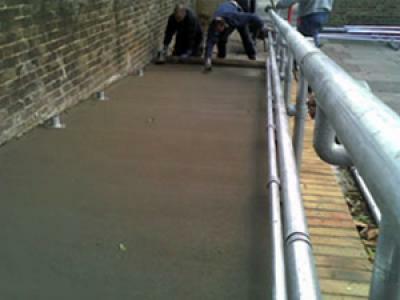 This new concrete disabled access ramp at a school in London had an unsuitable finish for the clients' needs. Concrete Renovations Ltd were called in to rectify the problem. Firstly the surface needed to be scabbled down to a minimum of -6mm to allow for the new material. The concrete was then resurfaced using Sikatop 77 a hard wearing, high performance, heavy duty screed. 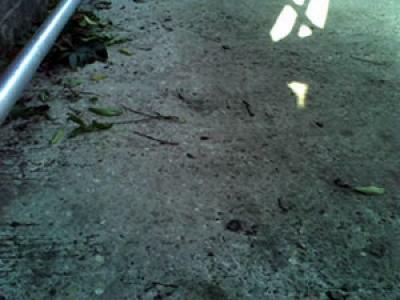 A non-slip surface was achieved by drawing a soft brush across the uncured material.